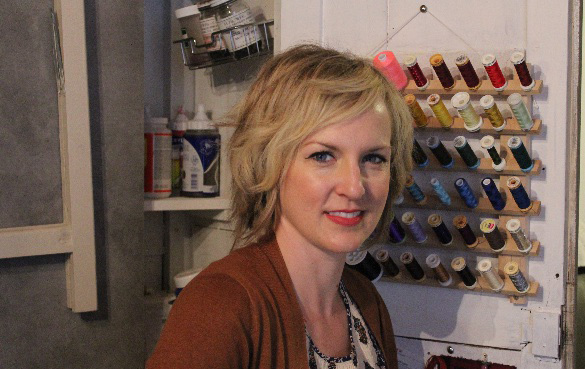 Holls holds a BFA in textiles and surface design (aka “fiberarts”) from Truman State University in Missouri, USA. She also holds an MBA with a specialization in luxury good marketing from the International University of Monaco, in Monte Carlo. After more than 10 years of professional business experience, Holls decided to put her savoir-faire to work for herself, selling her own collections of original artworks. 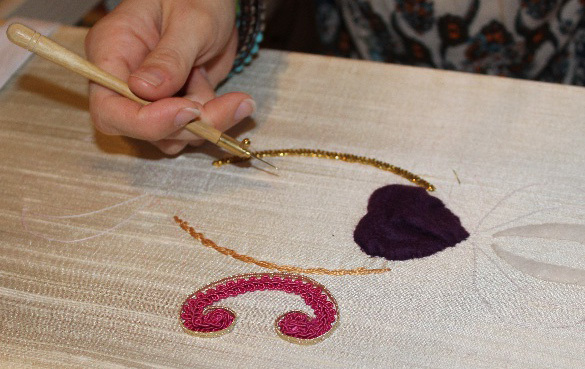 Working from her home studio in Menton, France, che dyes, paints, machine sews, and hand embroiders unique pieces designated to hang on the walls of homes and offices. Holls is also following a series of certifications in haute couture embroidery with a renowned haute coutire embroider in Lyon, France. She will begin to integrate the skills learned in consequent bodies of works.